If you're looking for a unique sound build this one. Besides the PoLiVokS this is my favourite filter! 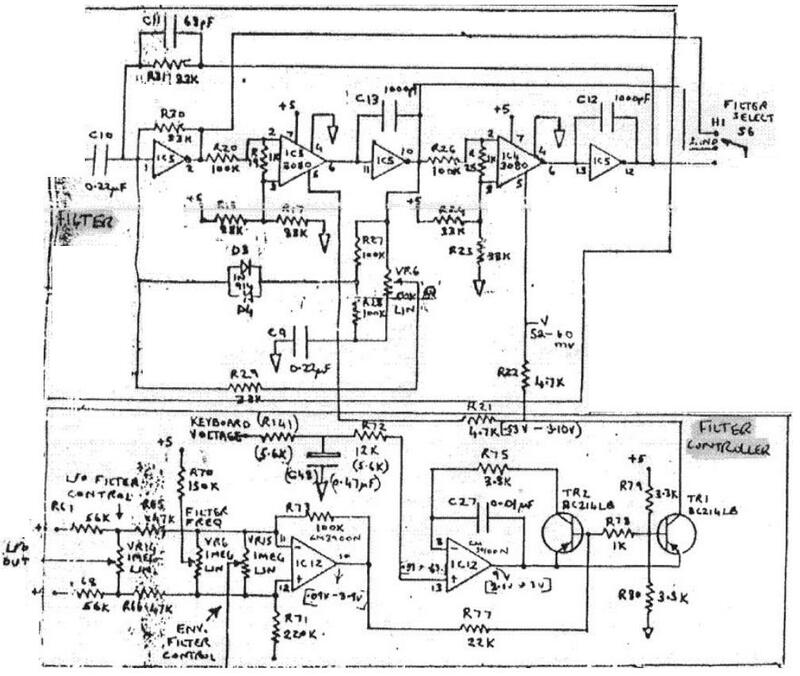 JHs design follows the original circuit but has a different CV section and a special feature: he used the unused 4069 triggers for a distortion/ speaker simulation circuit - very cool! Jürgen Haible says: "It sounds considerably different than the ordinary SEM-type state variable filter. The maximum Q is lower on the Wasp version. And there is an additional distortion coming from the CMOS inverter nonlinearities. This distortion is gradually increasing with input level, and you can slightly hear it way before the circuit actually clips. The CMOS inverters seem to be the dominant source of distortion; the CA3080 input dividers are rather on the save side." If you build it from my layout you don't have to incorporate the BAT85 schottky diodes. In the documentation P3 (potentiometer for resonnance control) is accidentally reversed!